We are passionate about helping farmers succeed at work and life. Who are we? We are farmers, parents, doers, dreamers, round pegs in square holes. We believe that sustainable agricultural systems are essential for this world to get back on the right track. We have spent years in the trenches, whether it has been planting spinach, or milking cows, or catering a wedding full of farm-fresh goodness. We have struggled with payroll, hired and fired employees, and sat up late at night, scrawling figures on endless sheets of paper. And that’s why we want to help. As we have farmed, we have seen farms come and go, picked up tips, tricks, and techniques from some of the best in the industry, and implemented those in highly successful businesses. And we want to share that with you. Michael is a farmer, presenter, inventor and blogger who lives to help farmers apply business principles and practical, proven solutions to grow their businesses and simplify their lives. He has managed large certified organic farms and businesses, consulted for industry experts, and spoken at dozens of conferences. In 2005, he started a highly diversified, year-round, vegetable farm with his brother. The business rapidly scaled until it was managing several hundred acres with over 20 employees, and sold to farmers markets, CSA, coops, and wholesale buyers. What set his farm apart was the systems that he put in place that allowed him to work less hours and leave for vacation without having to worry that plants were dying or customers didn’t get their products. In 2012, Michael took a four-month leave from his farm and interned at Polyface Farm in Virginia. He met his wife, Savannah, there and they married in 2013. 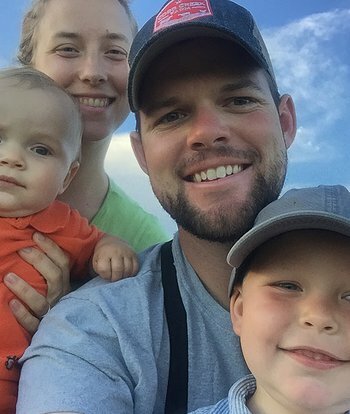 In 2015, Michael and his wife decided to move to Ohio to be near family and pursue teaching other farmers who wanted the same kind of growth in their farms without the stress or tension of neglecting what matters most. So, whether you are a beginning farmer who needs a start-up plan, or an experienced grower who needs to reduce the stress and hours you are working, Michael’s excited about helping you streamline your business and take it to the next level. Ben’s passion for farming began at an early age riding with his grandfather on a John Deere B tractor. Desiring to become a full-time farmer, Ben entered the nationally-renowned Polyface Farm apprenticeship program in 2007. Completing the program in 2008, he became a manager and worked for Polyface and other local, like-minded farmers before starting his own farming business, Creambrook Farm, LLC, in 2011. Since then, he has helped restructure production systems and manage day-to-day operations at several large grass-fed dairy operations. To start Creambrook Farm, Ben and his wife, Kristen, began a small pastured poultry and raw milk dairy operation in 2012. While the farm was a success, land constraints necessitated a move in 2014 to manage Old Church Creamery in King William, VA, a 50-cow dairy with an on-site creamery. 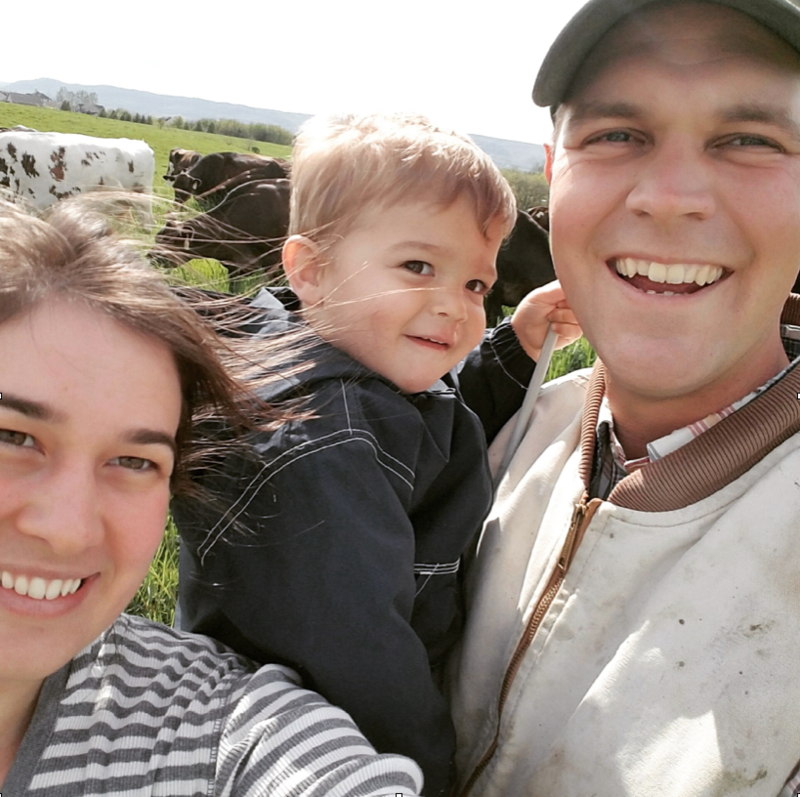 In 2015, Ben was approached by The Family Cow in Chambersburg, PA, about restructuring production systems and taking over the day-to-day operations of their farm which included a 15,000-broiler and 150-cow organic, raw milk dairy farm. He took the position and served there until 2016. Ben always had a passion for 100% grass-fed dairy and spent his spare time studying the nuances of running such an operation. In the spring of 2016, he was offered and accepted the management of Cliff and Maggie Hawbaker’s Hamilton Heights Dairy Farm. The organic farm is 100% grass-fed with a focus on building long-term equity, not just short-term cash flow. 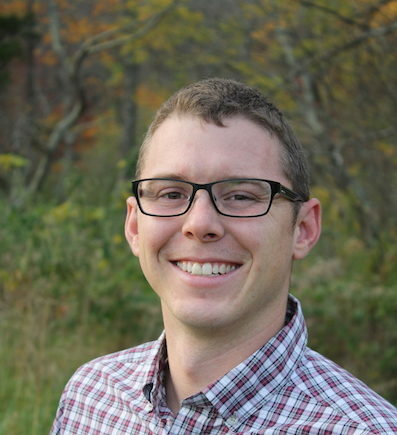 When not running the farm, Ben is a passionate entrepreneur who enjoys studying the intricacies of farm business and networking with other like-minded farmers. His goal is to help others find their passion in farming and long-term success doing what they love. Grady grew up on a family ranch in Southwest Oklahoma where his father continues to operates a cattle herd and hair sheep flock. He apprenticed at Polyface in 2009 and went on to run a satellite farm operation for them for a few years. Grady has run his own farm in Oklahoma, and now manages the poultry operation for Cobb Creek Farm in Hillsboro, TX. For as long as Grady can remember, his father has practiced holistic management and as an avid reader, he exposed Grady to many holistically minded authors and farmers, Joel Salatin being among his favorites. After graduating from Oklahoma State University with a B.S in Zoology, Grady went on to apprentice at Polyface Farm. The following summer he met his wife, Erin, (a summer intern at Polyface) and they married in March of 2010. After his apprenticeship, Grady returned home to Oklahoma to farm alongside his father, mother, and new bride. 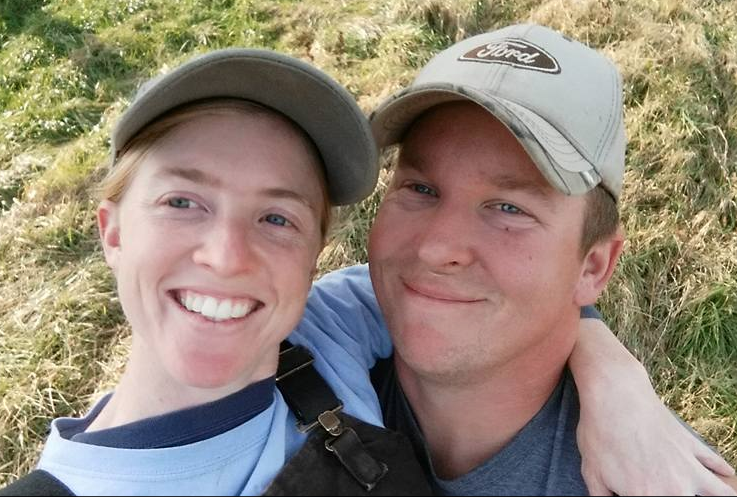 In conjunction with full time work off the farm at various jobs, Grady and Erin began to build a direct market farming business selling raw milk, pastured poultry (meat and eggs), grass-fed lamb and beef, and pastured pork. During the devastating drought of 2011, a wildfire claimed 75% of the grass on the ranch and effectively put them out of business. Shortly thereafter they accepted a farm managing position with Polyface and moved back to Virginia to manage Briarmoor, a Polyface rental farm in Middlebrook, VA. While managing Briarmoor, they were stewards for 300 cattle, 100 pigs and 1,700 laying hens, and produced and processed 5,500 broilers and 600 turkeys each year. 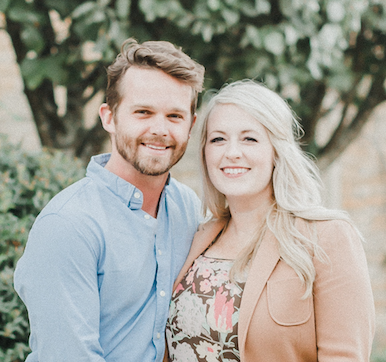 After two seasons with Polyface, Grady and Erin decided to look for new opportunities and eventually ended up in Hillsboro, TX at Cobb Creek Farm. Grady helped them develop their enterprise to 1,000 broilers per week on pasture in their innovative Mobile Range Coops. In addition, Grady operates their Texas State Inspected Slaughter and Processing Facility. Kevin London and Kim Feeney London were founder and owner of the Farmhouse Restaurant at Top of the World in Lake George, NY. The business included a farm, a seasonal, vegetable-inspired restaurant and inn. The farm grew a diverse array of vegetables, fruits and herbs for the restaurant, CSA and farmers’ markets as well as for a line of prepared soups, salads and sauces for sale. The restaurant hosted dozens of weddings, cooking classes, farm dinners and special events annually. The restaurant was voted Best in the Adirondacks, featured in regional publications and on a Food Network Special on Farm to Table Dining. Kevin has done extensive food and beverage consulting, most recently working with a private restaurant group and to create a weekly meal subscription that meets specific nutrition facts needs while maintaining restaurant quality preparations. His consulting work has included standardizing recipes, restaurant design and build out, detailing operation plans, staffing needs, and nutritional and cost analyses. Kevin was a founding member of the Slow Food Saratoga Chapter and was a delegate to Terra Madre in Italy. He is also a member of Chefs Collaborative. He previously worked in the kitchen at Blue Hill at Stone Barns in Pocantico Hills, NY and at The Kitchen in Boulder, CO. He has a degree in culinary arts from the Institute for Culinary Education in NYC and has a B.S. from Cornell University’s School of Hotel Administration. 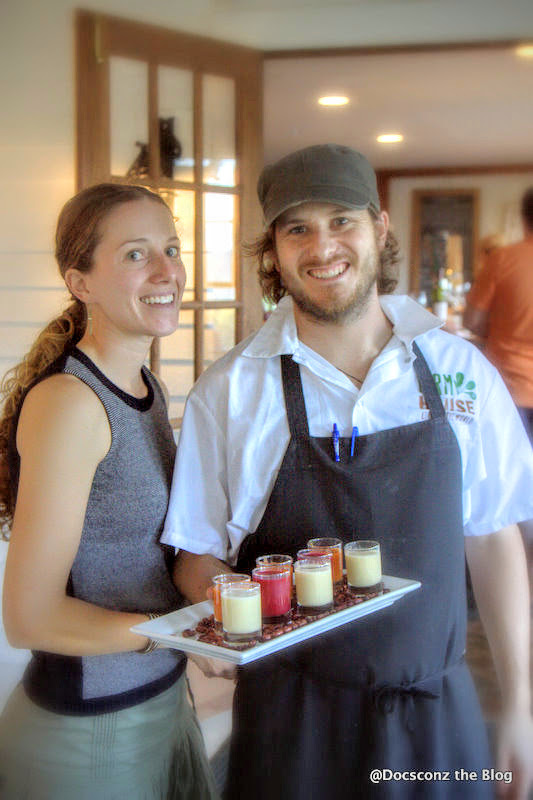 Kimberly Feeney London, along with her husband, Kevin, founded the Farmhouse Restaurant at Top of the World. She operated the farm business and the front of house operations at the restaurant. She was also in charge of education, marketing, event planning and financial management. She served on the boards of various food and farming organizations including Slow Food Saratoga, Farm to Chef, the regional NYS Vegetable Growers Association. In addition, Kim has an M.S. from the Friedman School of Nutrition at Tufts University in Food Policy and Applied Nutrition and she worked with small food entrepreneurs on marketing, recipe development, business planning and outreach. Kimberly is teaching the Microenterprise Assistant Program (MAP), a small business planning course at SUNY Adirondack. She is currently developing a program with the Town of Queensbury on teaching nutrition, cooking, fitness and personal finance to middle school students. She has a certificate in Positive Psychology and interested in the intersection of food, wellness and public policy. Prior to working in hospitality she worked in M&A for a private equity firm and spent time as an apprentice on farms in NJ and MA. She has a B.A. in economics from Cornell University. She is GAP certified. Buddy and Jill own Big Spring Farm, a pastured livestock operation and event venue. From 2010 to 2013 they were Polyface Farm’s largest pastured poultry producer. Three years ago the Powers launched a wedding and special event venue at their historic home farm in Lexington, Virginia. That business has tripled each year since it’s inception. With real world experience in sustainable agriculture, property development, hosting events, and marketing, Buddy has a unique understanding of what it takes to run a working farm, that is also a public destination! Buddy and Jill both attended Christopher Newport University. Buddy graduated with a BA in Philosophy and Religion, Jill with a BS in Business Marketing. Jill also owns Jillian Michelle Photography and is an international wedding photographer. We are privileged to collaborate and partner with several excellent businesses in the sustainable farming community. We have worked with these companies and feel confident in their expertise and advice. Hello! My name is Jordan Green. A focal point of my life has been to serve others through action. Together with my wife, Laura, we started our own farm, J & L Green Farm in 2009 to to serve the families in our area with clean, healthy meats and bring healing to the farmland we a blessed to manage. Prior to that I had the honor of serving our nation for 5 years in the United States Marine Corps. Traveling the world I had the opportunity to work with some excellent leaders and develop a work ethic, drive and disciplined mindset that I credit for many of the successes we now have. In 2001-02 I had the opportunity to serve as an apprentice at the now famous Polyface Farm. Over my 13 months there I learned a lot about taking my ideas and dreams as a younger person to a commercial size through practices honoring both the ecosystem, the animals and the businesses needed to sustain all. Together with Laura, I have built our farm from the ground up. Fencing, infrastructure, livestock, processing and marketing. We have achieved success in an area most said couldn’t be done and many fail in – a first generation farm, direct retail oriented, based entirely on leased land. In 2016 I started FarmBuilder for the purpose of serving my fellow farmers and those aspiring to be farmers. Bringing together 15 years of farm knowledge with a wider variety of experiences provides me a unique perspective on farm entrepreneurship, starting up operations, developing low input production models and direct marketing. It is my goal to serve you with these skills, to share the tools we use and build up your knowledge base in your own decision making process. Areas of Experience. Business: LLC Formations, Local, State and Federal tax process, Budgeting and QB management. Working with landowners on leased farms through unique arrangements, Developing non-bank capital. Marketing: Farmers Markets, On Farm Sales, building a Buying Club network, Wholesales to food coops & restaurants, Managing Social media and Websites. Production: Managing all phases of the following pasture based livestock models. Broiler chickens, Egg layers, Duck egg layers, Hogs – farrow to finish, Hair Sheep, Milk Goats, Cattle – breeding through finish. General Farm: Developing infrastructure, restoring abandoned properties, Water systems, production potential assessments, farm buildings, production oriented equipment, timbering & sawmill operations.